We all use Excel in our daily lives, however there are many tricks and tips to learn to gain time and be more efficient! 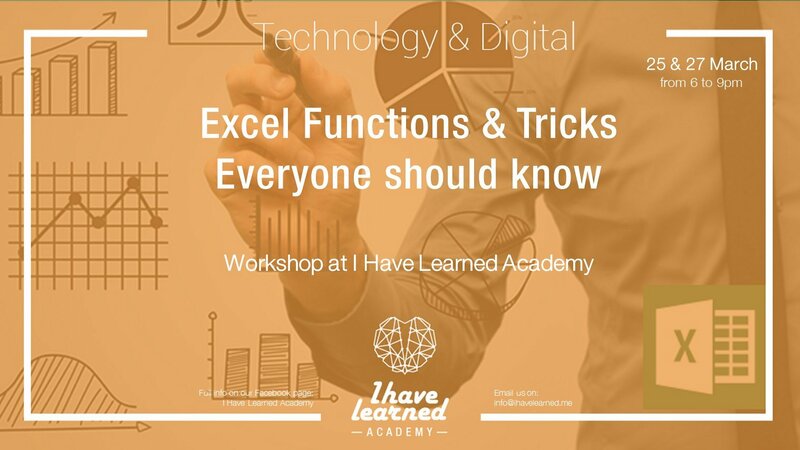 More than a training on Excel, this workshop will give you tricks and tools to use Excel functions and tricks to make your work faster and more efficient. To attend you should know the basics of Microsoft office. Please get your laptops with you. Souha is a Microsoft Office instructor since 2007. She provides basic and advanced levels of Microsoft Word, Excel, Power Point and Outlook, with different institutions in Lebanon. Besides being a passionate freelance instructor, Souha works as a marketing and communication specialist. She studied Business Administration at St. Joseph University in Lebanon and completed her Masters’ degree in Marketing and Communication at ESCP Europe and ESA Lebanon in 2011.